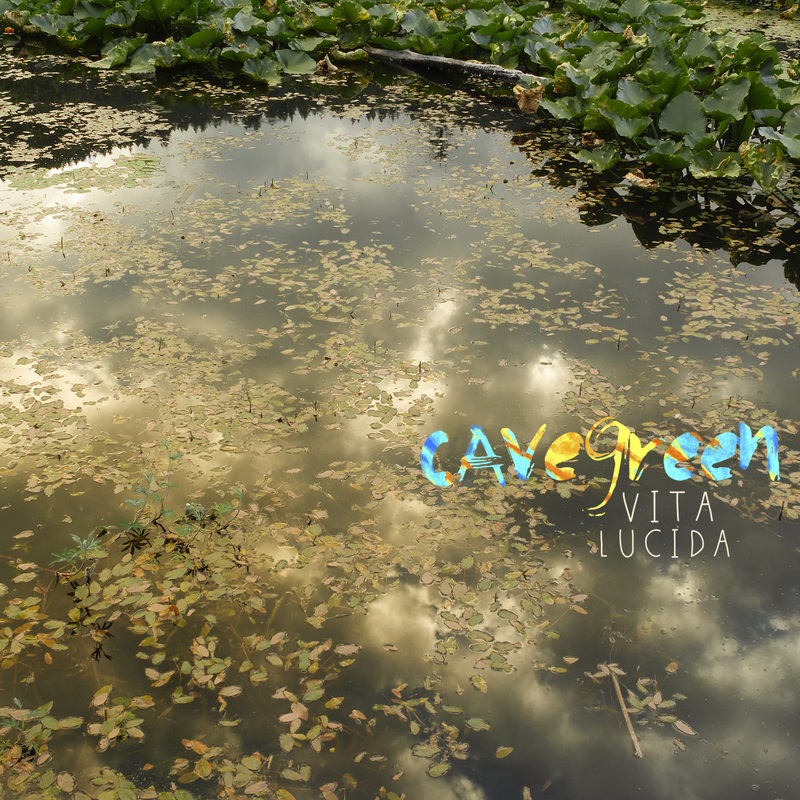 Track-By-Track: Cavegreen – ‘Vita Lucida’ – Ouch That Hertz! If I had told you that I was not anything short of pleasantly surprised at first listen, I’d be lying through my teeth. Cavegreen is the artistic collaboration between two musically inclined, environmentally-conscious individuals: Eleanor Murray and Gianluca Bucci. Together, the duo blends electronic and acoustic music, poetry, and images, weaving baroscopic textures of sustainably-minded electro-pop/darkwave/witch-house blends. Eleanor has been a musician, songwriter, and performer for the past eleven years, releasing five studio albums and touring the US extensively. Gianluca comes from a background of environmental work, photography, and an ongoing interest in the ancient and modern philosophical traditions of the earth. In 2015, Cavegreen released their debut EP, Journey of Return and began performing shows and around the Pacific Northwest. At first listen, dark, ephemeral overtures and atmospheric depths flood your ears, seeping into the finer follicles as the medley of moody instrumentation swirls ’round the confines of your ear drum. What comes the most unexpected is the supple, illuminating, airy undertones, which pierce through the cumulus cloud-cover like new rays of sunlight after a fresh rain. The result of this luminosity is a furthered layer of sensible complexity that expounds on a very visceral, cinematic sort of crux. Vita Lucida is a culmination and juxtaposition of sage archaism and unbridled novelty, to which our ears cannot help but perk at the intrigue and relish in sweet delight. Today, we have the immense pleasure of presenting to your eyes and ears a supplemental inward look at the mechanics of Cavegreen’s album in this official track-by-track breakdown commentary, penned by the band themselves! As always, each track is embedded for the betterment of your aural and visual entertainment. Enjoy! “Over the Earth” is a remix of the first track from our first EP, Journey of Return. It was inspired by watching a live feed on YouTube from a satellite circling the Earth. Seeing the Earth from that perspective inspired a particular melody for me (Eleanor) and I wanted to write a song with that view in mind. “The angels” refrain symbolizes the awe I feel when looking at our planet from space. “Sun” started as a simple folk song on the guitar in 2012. It’s gone through many changes sonically, and it eventually focused in the direction of high energy and power, because the sun is one of the elements that creates life on our planet. Simply put, “Sun” came by the realization that all the dances and dramas of our lives happen in this basic dance: between earth and sun. This song is inspired by the books of Florinda Donner. The books explore ancient healing practices and the training for specific states of awareness that were explored by mesoamerican cultures such as the Maya and the Toltec. “Witches Dream” is an exhortation to explore and consider in earnest the deeper aspects of our human nature. These aspects are more relatable to the night, in that they are mysterious, elusive and not bound to the physicality of the world. We wanted to express these ideas in energetic yet dreamy music – something that you can dance to late at night, that wakes you up and gets your heart beating – while also invoking a feeling of dreaminess. Simply put, usually cloudy or rainy weather is considered “bad” weather. But for some people, clouds and rain are beautiful weather, for the way they make us feel. That’s what inspired the song. We live in the Pacific Northwest and we wanted to write a song that celebrates the clouds and the rain, aspects of the circle of water, and everything they give life to, in a fun, dancing way. This song is one to highlight the mystery and awe behind all of life. The line, “you say you know the world”, points to our constant defining and pursuit to understand, without leaving room for the questions that reveal the mysteriousness within every thing and every moment. It’s a song that celebrates the question, “what’s behind it all?” “what is the all?”, without trying to give too definite an answer, but a call for unity. “Ancient Like Suns” explores the possibility of reincarnation, of the precedence of the meta-physical. Specifically, that feeling when something or someone is familiar to us, but not from our immediate experience or memories. The melody for “Little Bird” was taken from one of Eleanor’s previous folk songs “Joseph’s Song” from her album For Cedar. “Little Bird” is about many things but simply put, it’s about taking off and flying to our higher potentials, in a future of grand possibilities, of expanding consciousness, of embracing diversity from oneness. We initially wrote this song when we were asked to compose music for a “tides”-themed compilation by a Pacific Northwest music blog, Secretly Important. We live in Olympia, WA, which is on the Puget Sound, so the tides influence our environment. Musically, the song strives to embody water and its rhythms. Water always moves to a rhythm, in cascading, dripping; in serpentine flowing; in the rhythm of the tides. “Odyssey” simply brings our intentions with this album to a close. The song considers that the path of humanity among all the ups and downs, the twists and turns, the dark and the light, however it manifests, is to explore the glory of the unknown symbolized by that brilliant and dark vastness that meets our eyes in the night sky.